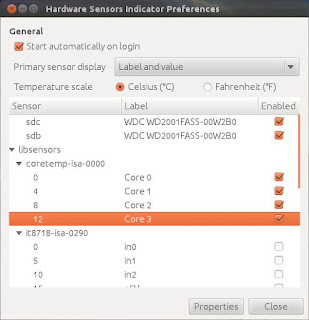 Before proceeding with the installation of unity indicators a few things need to be installed first. 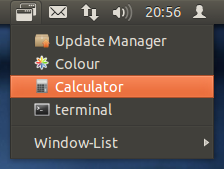 After rebooting the indicator will be in active in the unity panel . If you have a multi-core cpu in your laptop setting a lower frequency can conserve battery life ! 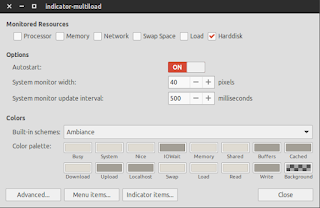 Indicator Multiload is an apple to monitor system resources such as the use of the processor, memory, internet, memory, swap, etc. 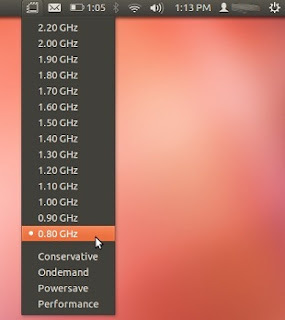 By default only one graph of the processor is displayed. 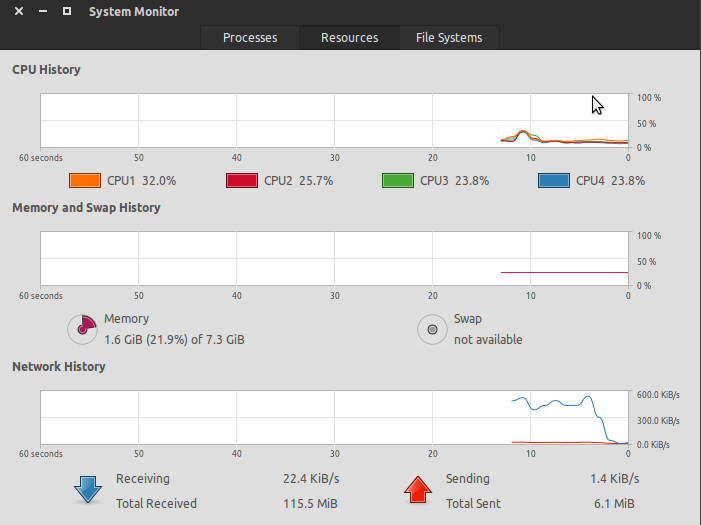 If you are using a multi-core CPU, note that it graphically depicts the use on a "general" instead of each core. 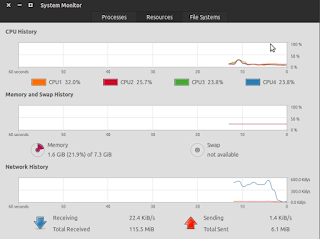 Clicking on this chart displays a menu with more detailed data on other aspects of your system, such as memory swapping, network usage. 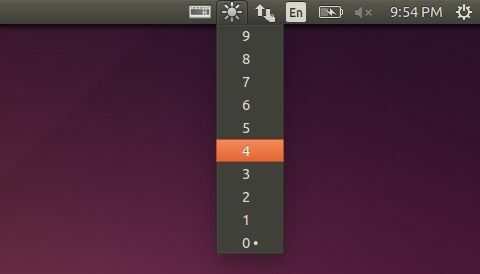 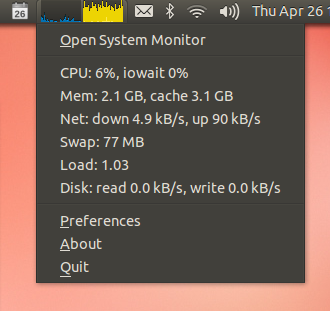 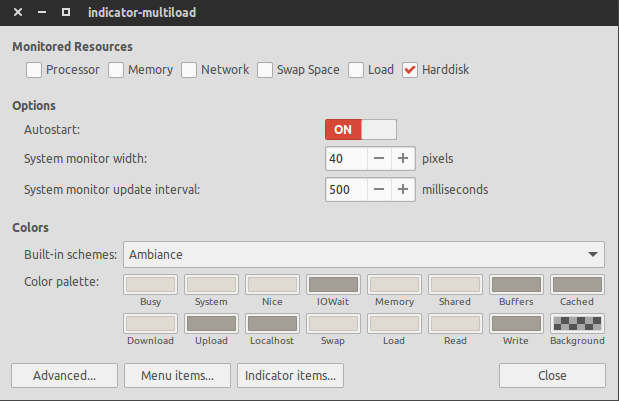 Sound Switcher Indicator is a sound input/output selector Ubuntu AppIndicator. 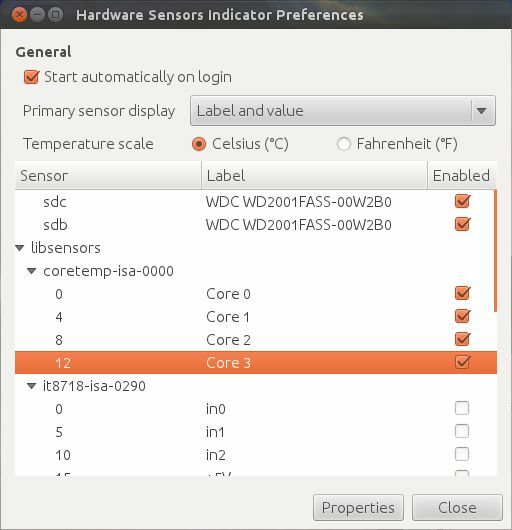 It allows switching the current sound input and output (source and sink) as well as the specific output port with just two clicks. 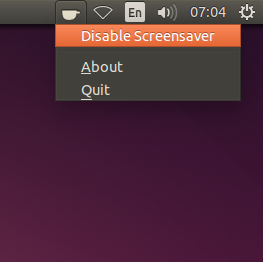 Caffeine indicator allows user to temporary disable screensaver/sleep mode. 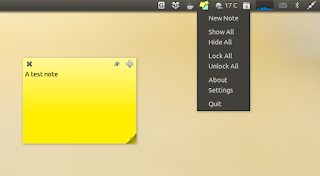 Indicator Sticky Notes is use to note important tasks, to-do things for remember to do in time. Sticky Notes just stick to desktop with user convenience.